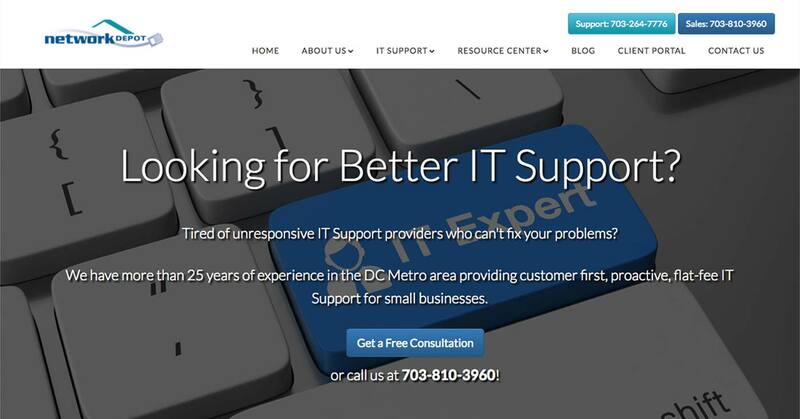 Network Depot is a small business IT support company based in Fairfax, VA. Offering IT services and support as well as network and server management, Network Depot works to create enterprise-grade solutions for small to mid-sized companies. Network Depot possesses the knowledge and the expertise to help businesses improve and continue operations. Network Depot was interested in a digital marketing campaign that would help them convert more small business clients. Their goal was to increase brand awareness as well as online visibility in order to reach new businesses on the internet. Network Depot wanted to rank for business IT-related keywords in search engines. Our team built Network Depot a website tailored to the IT industry. 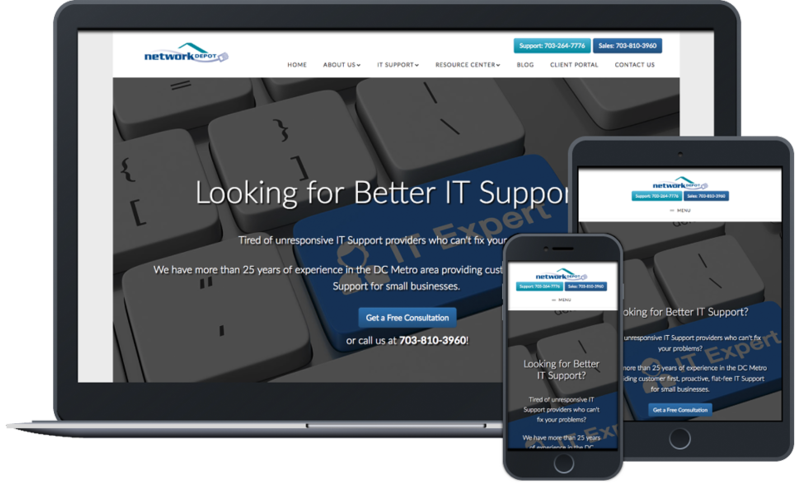 With several different drop-down menus and IT service pages, their website includes several different pages that each rank for different keywords in search engines. We work with Network Depot to ensure that the content they write is optimized for search engines and published to their website. Network Depot continues to receive new leads from small businesses and mid-size companies alike.